Meet this salad: your new favorite winter lunch. Just 7 ingredients, sweet, tangy, fresh, and hearty, yet healthy. You'll love this one. I realize this post might not be the most timely. If you’re snowed in, chances are you’re not reaching for a cold salad – BUT it’s not snowing here and nothing will ever stop me from craving big bright salads for lunch. (If you need something hot today, click here, here, or here). In a small bowl toss the chickpeas with a bit of the dressing and some salt and pepper. This step is optional, but I find marinating the chickpeas for a few minutes helps them become more flavorful. Toss all of the salad ingredients together with as much dressing as you like. Season to taste. Add a bit of feta cheese, if you like. Preach on the kitchen sink salads! Your salads are always so inspiring – a great guide for building my own with what I have on hand. I’m always on the lookout for a tasty salad and this one definitely fits the bill. I’m going the optional route and adding a healthy handful of feta cheese. 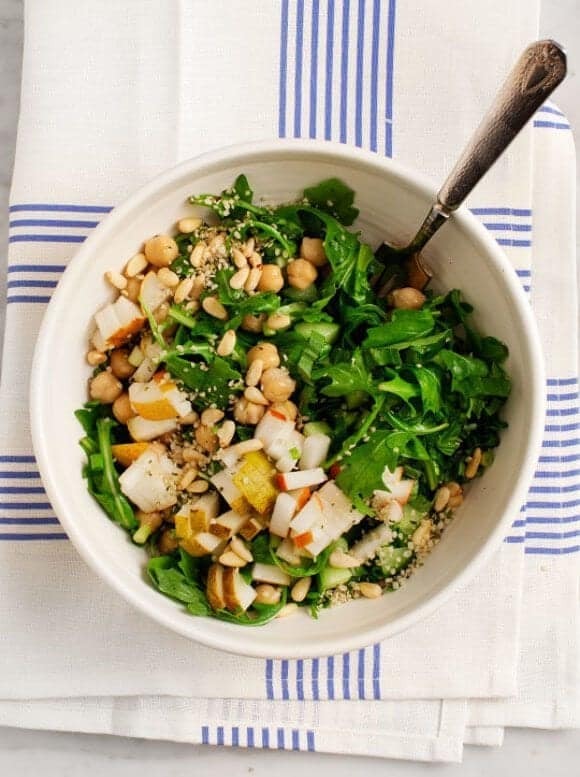 Pear and chickpeas, oh what a wonderful salad!! 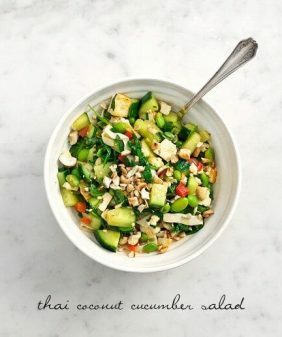 This dressing just sounds wonderful! This is so beautiful! I don’t know if I could eat it, mostly because it’s too pretty. Yumm! Pears are perfect this time of year for a fabulous salad. yummy! I have some nice ripe pears in my fridge I need to use up. I really like the idea of the dressing. I might use it with potatoes or even fish/chicken too! I recently discovered the wonder of feta and hummus. Therefore, I can’t wait to try this salad. Btw… if those are Harry & David pears, OMGosh! Love those! I’m snowed in here but still having salads every single day! 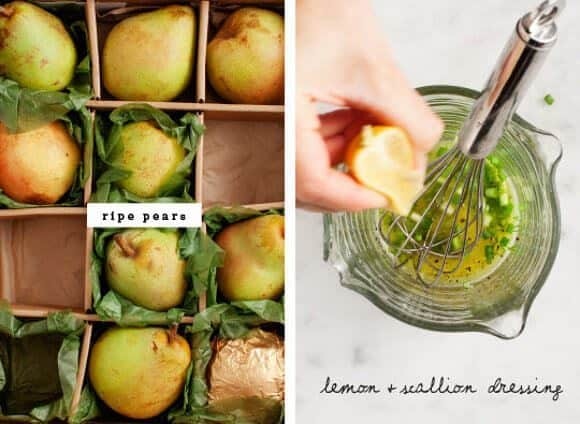 Pears and arugula is one of my favorite combinations ever! 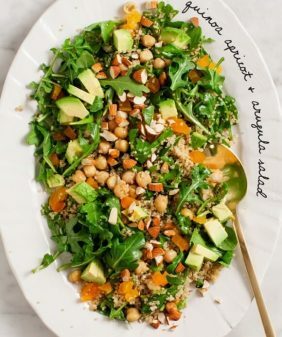 Despite all the snow in Boston, I crave the brightness and wholesomeness of this salad! It’s like a bowl full of sunshine and summer, which is much needed. Thank you for sharing! I am loving this mix of pears, chickpeas, and cucumbers. Great textures and flavors. I will definitely be trying this out! I like your lunch salad style and that white wine dijon dressing looks really good. It’s been too snowy here for me to be interested in salads alone but I may just add this one to my soup today. I’m always trying to find a way to use the chick pea. I’ve also been obsessing over pears lately! Thanks for sharing!! You make the best simple salads! 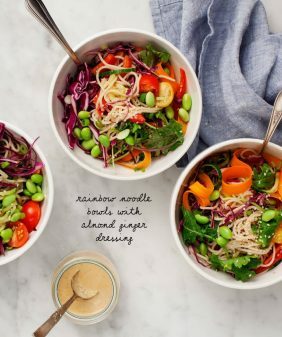 This looks so delicious and nourishing! This looks amazing and easy to prep! I’d definitely be giving this a try! You make the best simple salads! 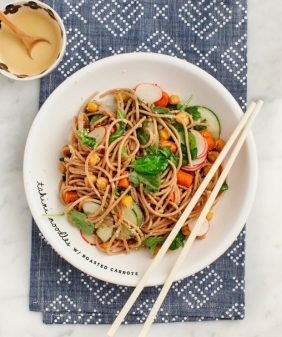 This looks so delicious and looks amazing and easy to prepare ! 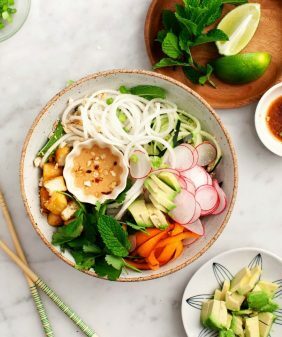 Lovely photography and a great looking salad, I must give this one a go! 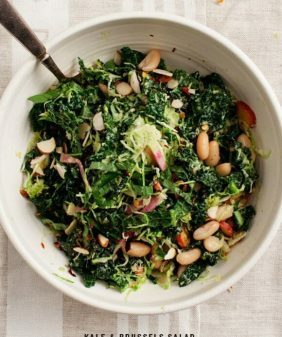 We loved this salad – I swear, you can practically taste the nutrition! The addition of pear and cucumber were the perfect fresh complement to the chickpeas and pine nuts. Thank you for sharing this! Excited to make it! Did you use whole grain dijon mustard or regular (creamy style) for the dressing? We used creamy dijon since there’s so much other yummy texture in the salad, and thought it might emulsify better – but that’s just us! Curious what you think when you try it! Sorry for my slow reply – yes, I also used creamy dijon, I usually only use grainy mustard if I’m spreading it on something. Creamy dijon is my go-to for salads… hope you liked this one! Planning to make this tonight! Did you use whole-grain dijon or just regular (creamy style)? Great salad recipe Jeanine! It’s a challenge to incorporate gluten-free dishes in parties; this is an easy recipe and very healthy too. I particularly like the fusion of dried apricots in the dish with other elements. Hi Lisa, I’m so glad you loved it – and that you found some gluten-free inspiration!